We have spent years building relationships with our chefs and suppliers which guarantees quality, reliability and competitiveness. Our experienced catering team will deliver a fantastic service ensuring your event is memorable for all the right reasons. Based in Glasgow we organise and manage catering services for the whole of Scotland and Northern England. 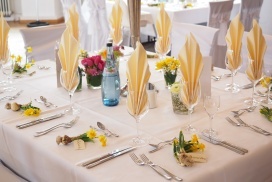 Leave organising the catering for your wedding to the experts; Crest. Having spent years building up relationships with chefs and bespoke catering firms nationwide we are confident we can design a wedding breakfast suitable to your taste and style. Have a look at our wedding page for more information on what we offer and don’t forget to check out our wedding sample menu for ideas. We can arrange a tasting of your proposed menu so call us or message us to discuss how we can exceed your expectations. Whatever the celebration Crest Events can provide lunches, home dining experiences, 2 or 3 course meals, party food and buffets. Take a look at our sample menus for inspiration or contact us to discuss how we can serve you best. We can also supply and set up tables, chairs, linens and centre pieces for your home. 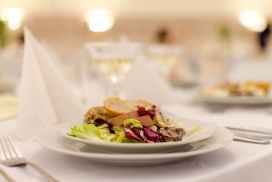 We take the stress and workload out of organising the catering for your event. 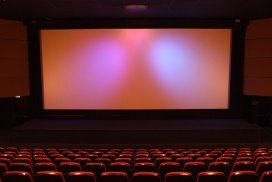 From set up to the clean up we will manage every aspect for you. We provide a range of services from hot buffets, 2 or 3 course meals and canapés to business lunches and finger food. We are confident we can provide excellent food and a great service within your specified budget. We can deliver a range of meals, pack lunches and hot buffets on time and on budget. 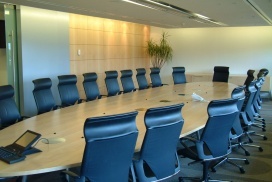 We can supply tables, chairs, linens and trained staff. If needed we can source venues with the correct theme and tastes that will suit your needs. Get in touch to see how Crest Events can serve you.